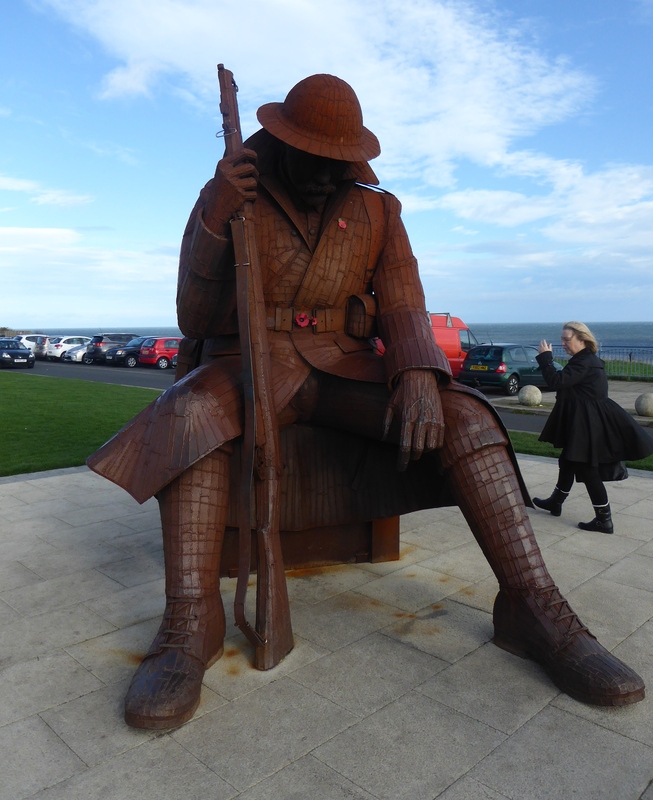 There is also a giant bronze statue of a war weary british soldier, “Tommy” reflecting on the horrors of World War I after peace was declared. 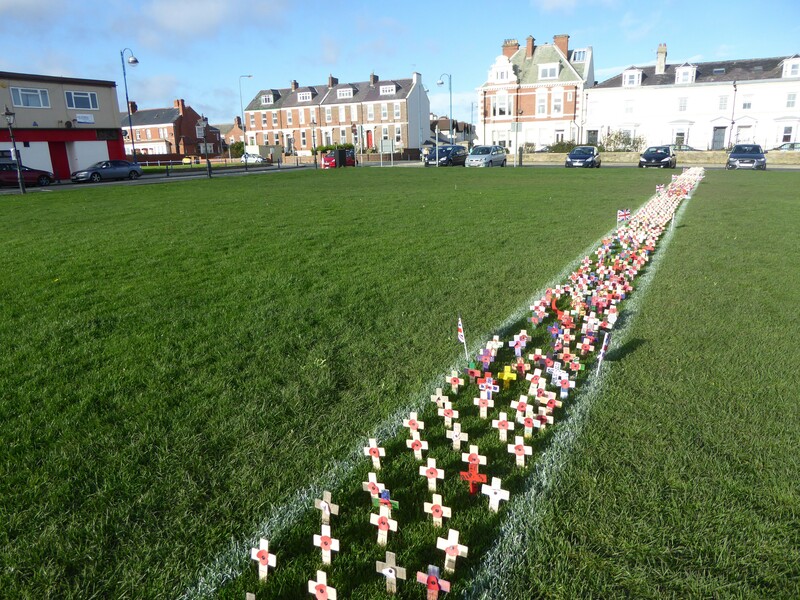 The sculpture also represents Post Traumatic Stress Disorder which many soldiers suffered. I remember the unrest in the 1980’s with the miners strike and the closing of many collieries. Durham had a large coal mining community and the biggest colliery was at Easington. The colliery finally closed in 1993 with little or no work for the people left and the area declined. When the colliery was working the coastline would not have been a pretty site with all the coal waste and sludge being dumping on the beach, the sands were black. Over the years the tidal action of the waves has washed the sands and the beaches are starting to look brown again. Just beyond Easington Colliery I pass through Horden Grassland Nature Reserve with wonderful art installations. 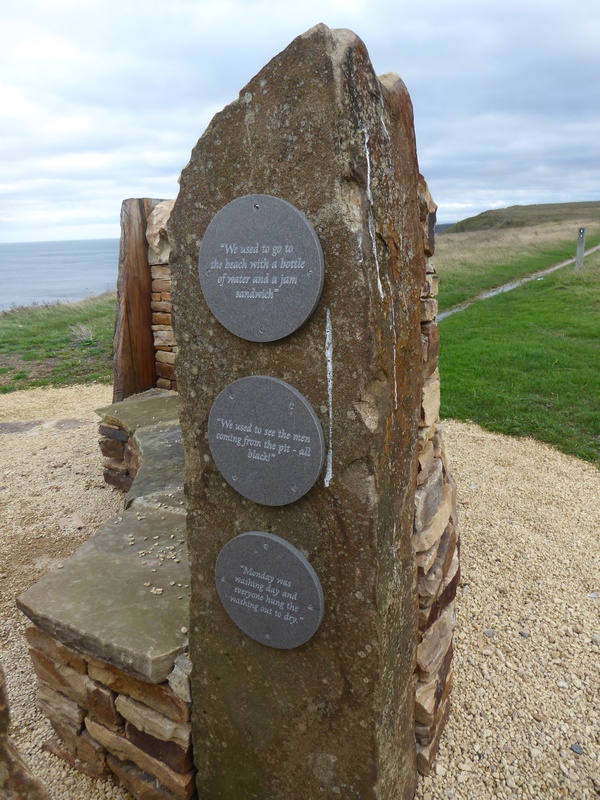 A rounded stone windbreak with a bench on the inside and small plaques with quotes from local people inscribed on them. Also big metal butterfly wings on either side of the path made from discarded metal from the colliery. I continue on to the North Shore at Hartlepool where I finish today’s walk. This entry was posted in Durham, England and tagged Coastal Walking, Easington Colliery, England, Horden Grassland Nature Reserve, Seaham, Walking. Bookmark the permalink.